According to the Cisco Visual Networking Index, IP traffic is growing the fastest in Africa and the Middle East. It will grow by CAGR 42% between 2016 and 2021. The explosive growth in IP traffic pushes the envelope on transmission speed and the quality of metro and long haul fibre optic infrastructure and optical networks deployed in Africa. Although a few pace setters have already leapfrogged to 100Gbps per channel, most are struggling to meet the growing IP traffic demand. The growth of IP traffic in Africa is driven primarily by mobile networks. As mobile penetration and the use of mobile data continue to grow, so is the IP traffic dumped into the metro and long haul optical communication networks. Telone in Zimbabwe, for example, was in the news lately blaming falling revenues on the falling usage of traditional voice services. Like many other operators in Africa and the rest of the world, Telone has set out to focus on growing broadband access and bandwidth hungry broadband services. This too will contribute to further growth in IP traffic. Many African operators and service providers have come to the realization that mobile broadband alone will not meet the high bandwidth and low bandwidth cost per bit required by emerging broadband applications and services. Wireline broadband access networks, such as FTTH, xDSL and HFC are mushrooming throughout the African continent. Liquid Telecom, Vodacom, IPNx , Wananchi Group and most of the incumbent local exchange carriers are some of the companies providing services over wireline broadband and contributing to the growing IP traffic in metro and long-haul networks. In 2012 Unitel contracted Huawei to deploy 100G WDM ASON solution with coherent detection and the capability of delivering 8Tbps per fibre. Huawei claimed that this was the first deployment of 100Gbps on a single channel in Africa. Unitel is a leading mobile provider offering the most advanced network in Angola and is also known for demonstrating, with Ericsson, the first Advanced LTE technology in Africa. In 2014, Internet Solutions(IS) deployed Infinera’s DTN-X intelligent network based on 500Gbps super channel technology across IS’s long haul network in South Africa. The solution enables IS to offer 10, 40 and 100G Ethernet wavelength services. Internet Solutions, a subsidiary of Dimension Data, is an IP service provider offering connectivity and cloud services to enterprise customers in South Africa and other parts of the continent. By late 2014, MTN Nigeria had announced that it was rolling out Alcatel Lucent’s DWDM/OTN transport system to deliver 100Gbps in its national fibre optic backbone network. The 100Gbps platform was to replace 10G systems and boost backbone capacity of the company’s expansive mobile network supporting 58 million subscribers. MTN Nigeria is the largest subsidiary of MTN Group which is the largest mobile operator in Africa with over 200 million subscribers in 22 countries across Africa and the Middle East. In 2015, SEACOM deployed Infinera’s TM-Series intelligent transport platform capable of delivering 10Gbps and 100Gbps for its DWDM fibre optic metro networks in South Africa and East Africa. The system improves the connection of African cities to the rest of the world through the SEACOM submarine fibre optic network. SEACOM owns and operates a large submarine network, ~17,000kms, connecting Africa to Europe, Asia and the Middle East. SEACOM was recently reported to be investing deeper into the African access networks to help drive more traffic to its submarine fibre optic network. In 2015, Alcatel Lucent won a contract to upgrade TTLS’s IP/MPLS optical transport network by installing it’s agile optical networking platform capable of delivering 100Gbps per channel. The move was in preparation for the deployment of 4G LTE in Tanzania. With a mobile penetration of 75%, an annual mobile usage increase of 20% and higher bandwidth usage fueled by 4G LTE, the capacity in the national backbone had to be boosted to better handle the growth in IP traffic. TTCL is the incumbent local exchange carrier offering fixed line services and connectivity to mobile operators, enterprises, and individuals. As operators grapple with the decision on which technology to use, cost consideration is the number one factor especially for a cost sensitive market like Africa. 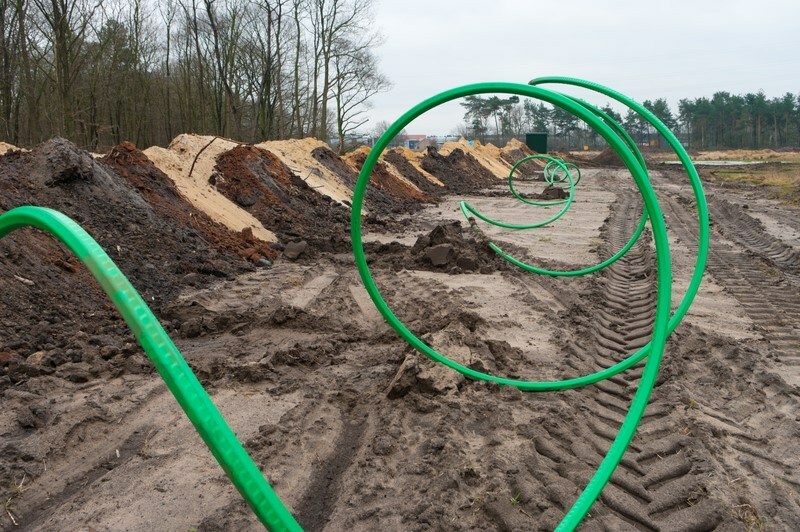 But whether an operator is upgrading a grey field or rolling out a green field optical network, the fibre optic infrastructure will ultimately determine which technologies are possible. Many African operators have focused too much on minimizing the upfront costs on fibre optic infrastructure by purchasing poor cable and using substandard installation processes. This has often resulted in fibre optic infrastructure that is very costly to maintain and difficult to upgrade to newer technologies. Where the operator served a little bit of money on upfront network costs, they spend significantly more in maintenance, costly infrastructure upgrades or complete replacement of the fibre optic infrastructure. While some of the operators mentioned in this article could easily upgrade their networks to higher data rates, many more are unable to do so. Some of the fibre optic infrastructure that was deployed for SDH based STM1s (or 155 Mbps) and in some cases, PDH based DS3s (45Mbps) is not useable with current 10G systems because of high PMD, attenuation and other attributes. We can all learn from this history to be aware of optical network trends and what it will take to operate networks that are designed today in ten, twenty, thirty and even forty years to come. For example, optical network technologies are trending towards coherent systems, for which attenuation is the most important attribute, in the long haul. It is advisable to use fibre optic cable with the lowest possible attenuation even when deploying fibre optic infrastructure for 10G systems today. After all, the cost of high quality fibre optic cable only has a small negative impact on the overall upfront cost of rolling a network today but will have a much bigger positive impact on the future network. To support African engineers and managers in planning and designing high quality cost effective optical networks that meet today and tomorrow’s requirements, FibergGuide has teamed up with Optical Technology Training(OTT) to offer a series of advanced training in fiber optics. Trainees first take certified optical network associate (CONA), an intermediate level course focusing on technologies that are mostly based on direct detection. CONA covers fundamental aspects of optical networking including the design and planning of multiple channel systems at 10Gbps and 25Gbps. Common applications such as long haul and metro networks, mobile backhaul or fiber to the antenna (FTTA), dark fiber and data center interconnects (DCI) are reviewed as case studies. After successfully completing CONA, trainees have the option to take certified optical network engineer (CONE), a more advanced course focusing on higher speed optical networking technology. Coherent detection, polarization multiplexing, Flexi-Grid and other advanced concepts are studied. If you are interested in seeing more articles like this, please leave us a comment at the bottom of the page.